E- Mails are a convenient medium for communicating in today's times. Slowly they have started being adopted in healthcare and as research shows, the percentage of physicians using emails to communicate with patients has increased gradually over the past 5 years. A lot of communication between a doctor and patient is best done physically. Doctors need to see patients in person to accurately gauge the patient's health and determine if a plan of care is being followed or whether changes in care are needed. But …there are plenty of interactions that don't require face-to-face communication and that can be more effective via email. View more PowerPoint from Plus91 Technologies Pvt. Ltd. I really believe you will do much better in the future I appreciate everything you have added to my knowledge base. Admiring the time and effort you put into your blog and detailed information you offer! had been one where to buy raspberry ketone of the most complex times of my way of lifestyle. I appreciate this. Keep the good work! It’s important for health care professional to get updated with latest technological advancements for communicating with patients. E.g. patients these days response to texts message, emails more as compared to phone calls. Also many times phone calls might be skipped and the clinic staff might not update patient with any change in appointment time. Advanced appointment management systems like Vital Interaction might be helpful here. It can send automatic text, email and voice messages to the patients regarding appointments, reminders, follow ups, greetings etc. My doctor's office just updated their computer software a few weeks ago. Their software emails me when I have upcoming appointments and any notes my doctor has for me. I love the convenience of getting an email instead of having someone calling me. I really like the new transition to getting notification via email. They have the best herbal incense ]. they even give you discount codes if you ask them. they have a code now. so worth to try them; one thing, they are a bit expensive, but with herbal incense being so hard to find, they are seriously the best i found with great aroma. Thier customer service is 24/7 and AWESOME, friendly and fast shipping. this blog is really very nice thanks for your information it is really great and thanks for sharing those information. Hi! Email communication is easiest, fastest and convenient way. Email hosting services for business, corporate are given by leading hosting providers. Its really a great post you shared here.!! 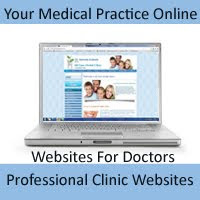 One of the unique services provided by us is the Medical Software for Doctors. Under this service we offer to manage the profiles of the doctors who tend to opt for this service. 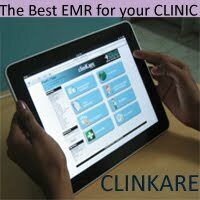 If you opt for the software for doctors, we will assist you in various ways for enhancing your practice as a doctor. We understand the fact that it is difficult to keep track of all the aspects of a flourishing practice. We offer to manage your profile and various administrative work required for the successful functioning of your practice.